Making one-pot rice dishes is a common tradition in many cultures. I find making rice dishes very comforting especially when I’m away from home. 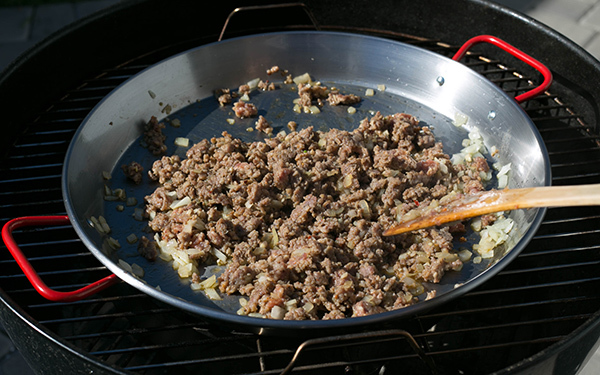 When I was a busy pitmaster competing on the barbecue contest circuit every weekend, I made simple one-pot rice dishes in my Weber by simmering rice with some meat and vegetables. One pot rice dishes are mostly of modest origins with the meat and vegetables often coming from leftovers. 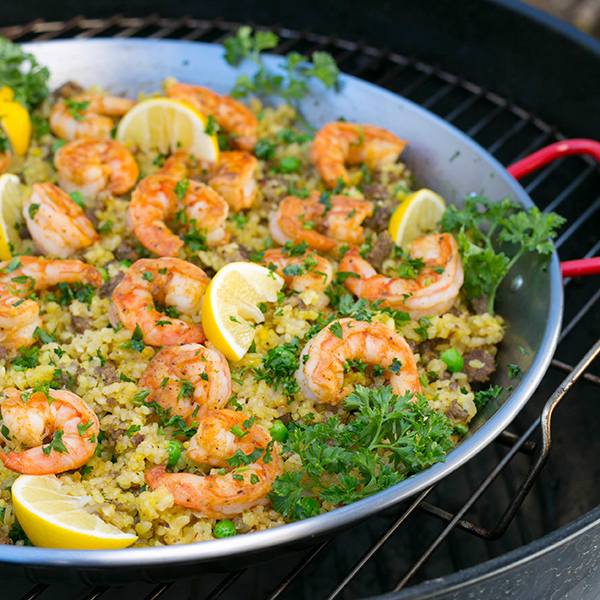 Some of the more spectacular ones such as the famous Spanish Paella are made in large carbon steel pans and can feed many dozens of guests. The modest ones include the Chinese clay-pot meals where a little rice and vegetables are all that an entire family might have to eat that day. 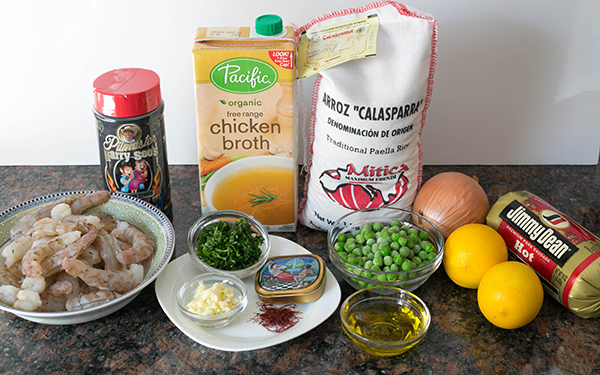 In my opinion, there’s no wrong way to prepare a “paella” even though some culinary snobs have strong opinions about their technique and ingredients. They will insist on Spanish Calasparra rice and Spanish saffron. If you’re one of those snooty cooks, don’t read any further as you’ll likely be offended by what I did. For me, when I’m in a strange city far from home, it’s got to be what I can find in a Walmart grocery store when I’m picking up apple juice and paper towels to use in my contest. One of the very satisfying simmered rice dishes I’ve cooked in a parking lot had only three items consisting of rice, Jimmy Dean Hot sausage, and a packet of frozen shrimp. I browned the hot sausage on a Walmart saucepan (handled unscrewed) in my pit. I added the rice and water. 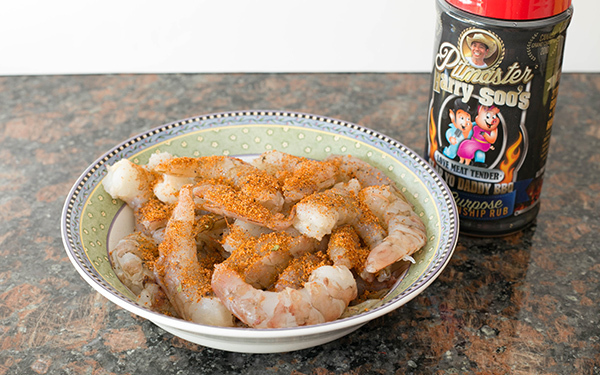 After the rice was halfway cooked in my pit, I added the frozen shrimp and some of my SYD rub and covered it with foil. For some pizzazz, I garnished it with some chopped parsley I had brought to decorate my KCBS turn-in box. 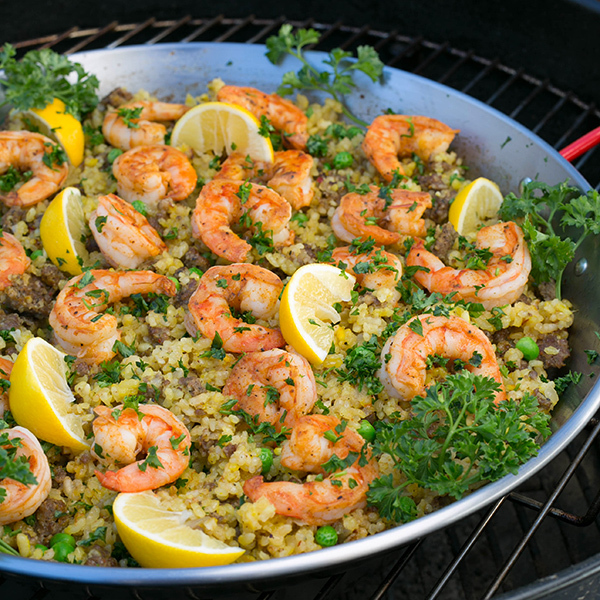 I had visitors that night and got a lot of compliments on the simplicity and awesome flavor of my barbecued “paella”. Take that you Paella snobs! You can make my parking lot “Walmart” version with three ingredients or you can try this version I made at home. Yes, when at home, I do have a real carbon steel Spanish paella pan, Spanish rice, and Spanish saffron. And yes, I did buy all other ingredients from Walmart including the Jimmy Dean hot sausage in the recipe. Enjoy! 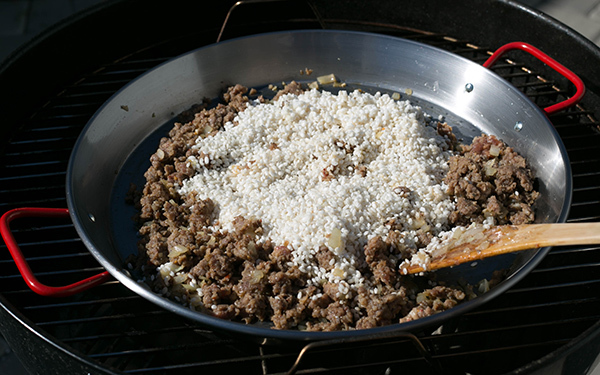 Add the rice when meat is almost cooked. Stir until rice becomes translucent. 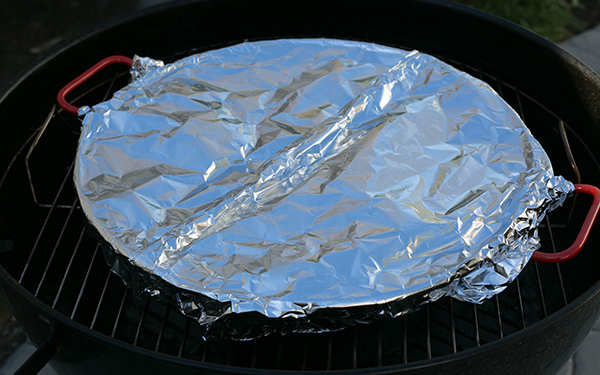 Cover pan with lid or foil and cook on stove under low heat or in a 350 degree oven. You can also cook this in your pit. As the liquid evaporates, the rice should be cooked at the same time. Depending on the type of rice your use, you may need to add more liquid. If you need to, add a half cup at a time. I like my rice firm like steamed rice but you may like yours mushy like overcooked risotto. 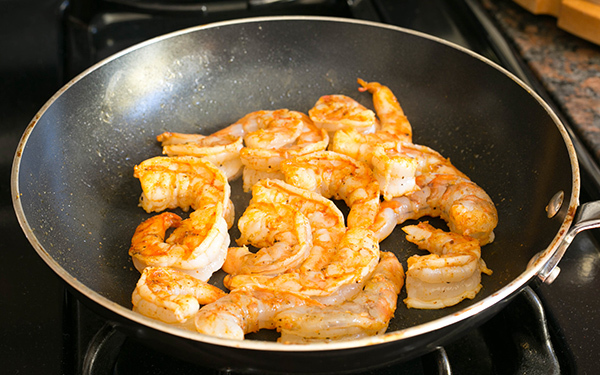 Sauté or grill the large shrimp separately with my SYD rub, some olive oil, and drizzle some lemon juice. I’ve had this. It’s really good! Made this today useing a 15in stainless skillet and did it all on the stove top. Followed the directions straight thru (used turmeric instead of saffron) and cooked the shrimp separately. OUTSTANDING. Never made nor had paella before but this was easy and very tasty. Thanks for a great recipe. Super Martin. 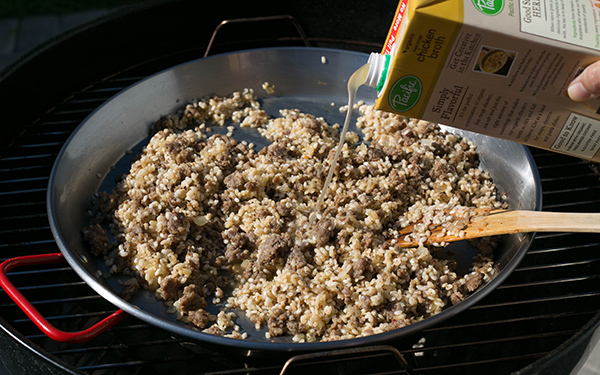 Also can be done using a half foil pan or in a camping situation, you can do Paella using a foil pouch. I made the Shrimp Paella. I didn’t have saffron and used turmeric instead. 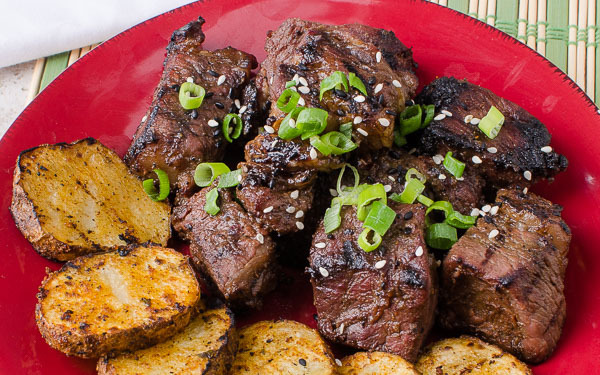 I love this recipe and so easy. Yum! I will make this again. forgot to rate the Shrimp Paella.